If you have been told by your doctor that you have acid reflux or are you fairly certain that you do have it, one thing is for certain: you want relief. The consequences of acid reflux should not be taken lightly, however. Once the muscle located at the bottom of your esophagus begins to relax, the acid in your stomach can move up and into areas that can’t tolerate those high levels of acid. This will lead to scarring of the esophagus and can even lead to serious problems swallowing or breathing. Continued acid reflux has been connected to an increased risk of developing cancer of the esophagus. Although antacids can help to a point, your body eventually becomes accustomed to them and in turn makes even more acid, which only makes the problem worse. Long term use of any prescription drug wreaks havoc on your liver as well. You don’t have to live with acid reflux or risk taking drugs, however; you do have another option. There are natural, herbal remedies that not only target the source of the reflux, but work to prevent it from occurring again. Although there hasn’t been a great deal of research in this area, some herbs have been studied by scientists and have shown great promise in the relief of digestive, stomach, and issues related to the esophagus with no apparent side effects. So if you have been plagued by acid reflux, keep reading for the top 12 herbal remedies you can take to stop this monster in its tracks. Yes, this is a fruit, but a terrific one for improving digestion. This fruit is a great source of nutrients, providing the body with vitamins A, K, C, and E, along with minerals such as iron, copper, selenium, zinc, magnesium, calcium, phosphorus, and other important antioxidants such as lutein, zeaxanthin, lycopene, bioflavonoids, and choline. 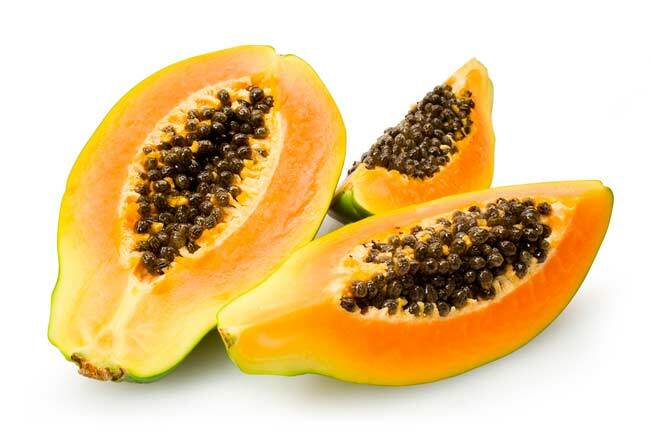 To add to all that nutrition, papaya is an excellent treatment for acid reflux. It contains a proteolytic enzyme that breaks down proteins in the digestive system into amino acids. The active ingredient, papaine, is super helpful to the body when comes to the digestion of fats and carbs. When these foods are properly broken down, it aids in digestion and allows your body to make acid. The potassium in papaya also introduces healthy bacteria into your intestines. This can prevent your stomach from working as hard and helps to stop indigestion and reflux. Be careful to avoid papayas from Hawaii, as 90 percent of the papaya sold is a GMO product. SEE ALSO: Is Your Acidic Diet Ruining Your Health? This can work by either eating more mustard greens in your diet or by simply swallowing a teaspoon of a good quality prepared mustard after each meal. Mustard is actually an alkalizing food that is loaded with minerals. When making prepared mustard (the yellow kind that most people put on hot dogs and hamburgers) it’s processed with a weak form of vinegar. Due to its alkaline compounds, it neutralizes the acid that you feel creeping into your esophagus. Although it might seem a bit disgusting or sour, you might actually learn to love it once you feel the almost instant relief it provides. A study performed in India in 2002 found that gel fractions and aqueous extracts of fenugreek seeds provide a protective effect on ulcers and work even better than the drug Omeprazole. 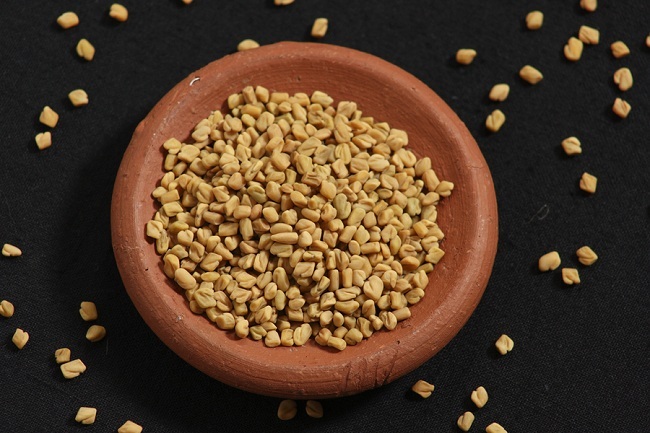 Fenugreek seeds work like a sponge, soaking up gastric acid. One of the great things about these seeds is that they are easy to use. No need to brew a tea or soak them overnight, simply sprinkle them over your food and they go right to work. Generally consumed by being made into tea, fennel is one of the best means of fighting acid reflux. This herb works by improving your overall digestive process and works at preventing reflux before it begins. The active compound in fennel is anethole, a substance that calms and soothes the digestive tract, preventing spasms in the intestines. You can drink fennel tea before or after a meal, or simply chew it fresh after meals. Turmeric has gotten a great deal of attention lately because it offers the body so many healing elements. As luck would have it, turmeric also works well for the treatment of acid reflux. The active ingredient in turmeric, curcumin, stops inflammation, which means you will have instant relief from gas and bloating. Turmeric is also well-known for its antioxidant, disease fighting, and toxic eliminating compounds. This is an ancient, yet potent herb that has been used by Native Americans for hundreds of years for throat problems. The inner bark of this tree coats the inflamed and irritated membranes of the esophagus and lining of the stomach. This will neutralize the stomach acid that leads to acid reflux. The bark of this tree also increases mucus production in the gastrointestinal tract, which will sooth and protect irritated tissues. This little known herb, sometimes referred to as purple betony, is amazing when it comes to treating acid reflux. By eliminating unnecessary acid from the stomach, it can stop reflux from happening. It also improves the overall digestive process. This is the main ingredient in the popular herbal product called Iberogast. 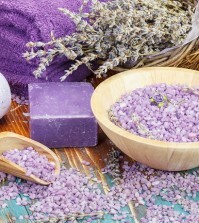 This herb has been studied and has been shown to reduce acid reflux, cramps, nausea, and general stomach pain. Chamomile is well-known for being a relaxing herb, and German chamomile is best for the acid reflux that comes from stress. Chamomile is one of the gentlest remedies known to man, so safe that there have been no side effects reported, even though it has been used for hundreds of years. 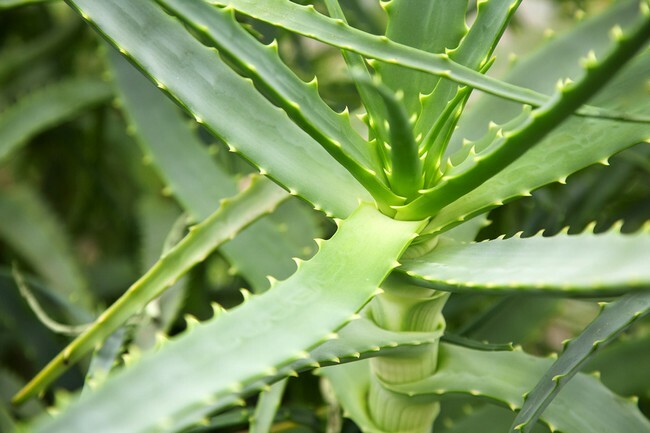 Although many people think of aloe vera only for burns, it can do so much more. It can stop heartburn as well as sunburn because it reduces inflammation. You can break off a fresh aloe vera leaf and squeeze the clear gel into a glass of water and drink it after meals, or buy some premixed aloe vera juice at almost any health food store. If you can find it, look for aloe vera juice mixed with probiotic cultures so you can get a double whammy of acid reflux fighting goodness right from nature. Read more about benefits and uses of aloe vera. Agrimony is a little known herb that works to relieve stomach upset and restore proper function to the gastrointestinal tract. Many people don’t realize that acid reflux also causes vomiting, nausea, and diarrhea. If you suffer from these symptoms with acid reflux, you will find that agrimony is super helpful in these areas and should be your first choice in helping to treat this problem. Ginger is another herb that can help stop the nausea and vomiting that some people experience with acid reflux. Ginger root has been shown in studies to have powerful medicinal compounds that absorb stomach acid while calming the digestive system. You can drink a cup of fresh ginger root tea after meals, or take a ginger capsule after each meal to calm an irritated gastrointestinal tract. 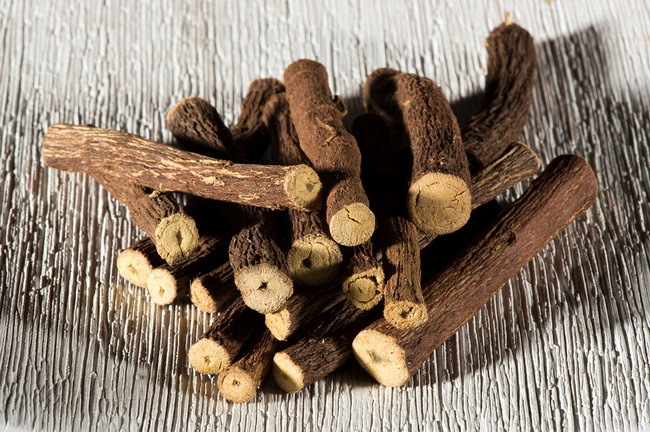 Licorice, in addition to German Chamomile, is another ingredient in the herbal treatment Iberogast. One study used 80 patients that were suffering from acid reflux and/or gastroduodenitis and gave them licorice for 3 weeks. The results showed that there were noticeable improvements in erosive alternation in 75 percent of the subjects. This suggests that licorice can provide therapeutic and preventative help on acid reflux related symptoms.